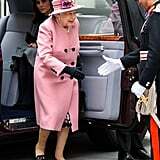 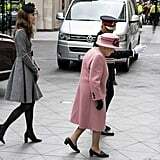 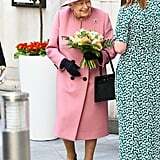 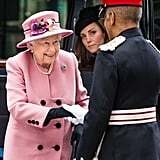 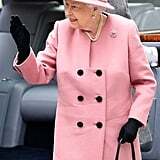 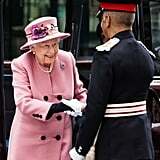 Kate Middleton and Queen Elizabeth II marked a big milestone as they arrived at King's College London for their first ever event as a duo on Tuesday. 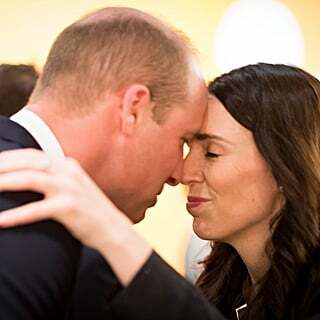 They arrived at the college in the sweetest way, not only sharing a car but also sharing a blanket to keep them warm on the chilly journey. 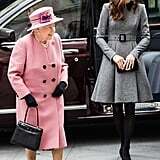 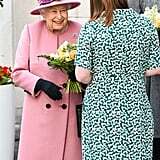 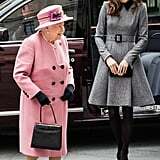 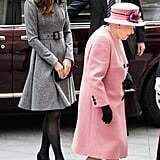 While the queen stood out in a light pink jacket and matching hat, Kate opted to wear a gray fit-and-flare coat dress by Catherine Walker. 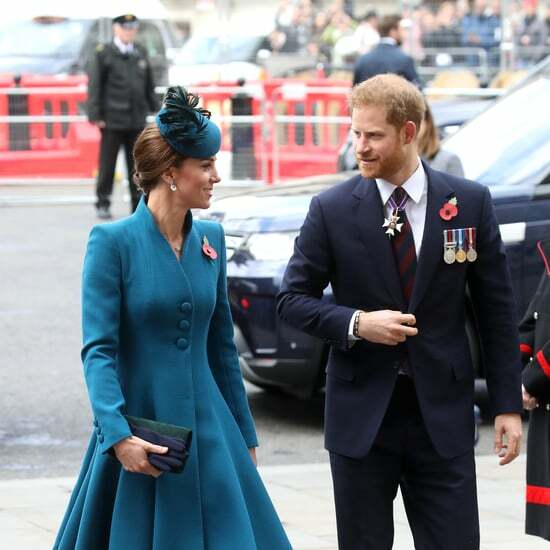 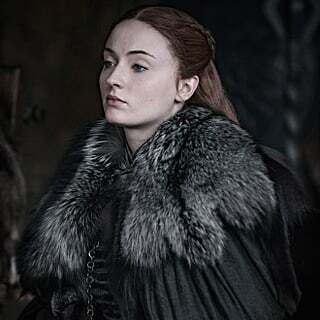 Despite the pair having a good relationship, this is the first time they've attended a royal engagement alone with no other members of the royal family. 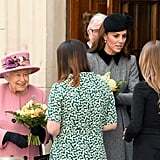 Almost a year after marrying Prince William in April 2011, Kate had her first official engagement with Queen Elizabeth when they visited Leicester in March 2012. 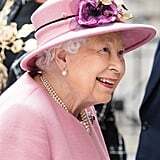 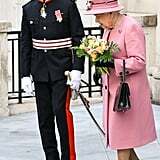 The two were joined by Prince Philip as they traveled by train from Kings Cross St. Pancras Station as part of the Queen's Diamond Jubilee tour. 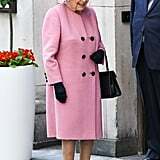 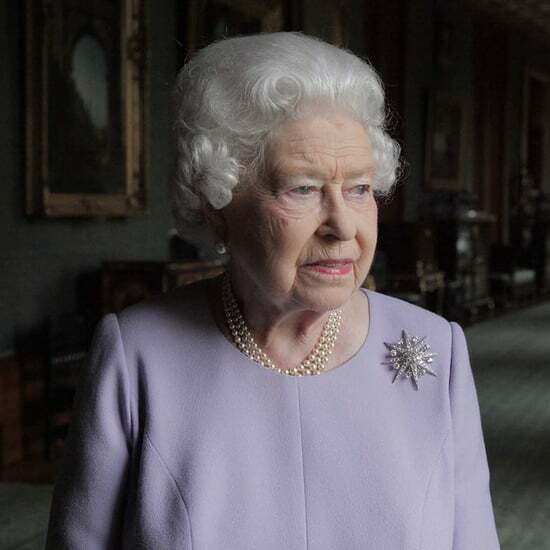 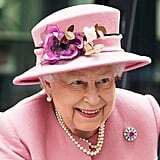 On Tuesday, they visited the London University — which the queen is patron to — to officially open Bush House, a set of buildings that have been converted to teaching facilities, an auditorium, and lecture theaters. 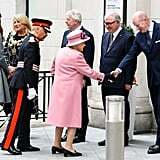 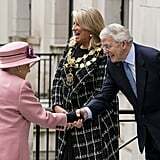 They both looked delighted to be part of this new building opening at the fourth oldest university in England. 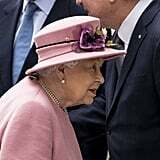 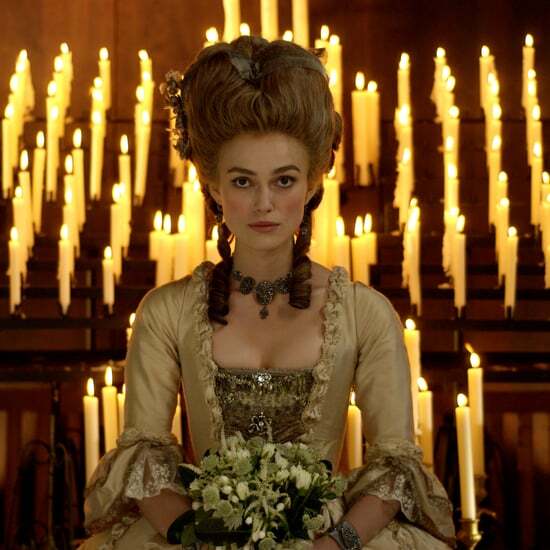 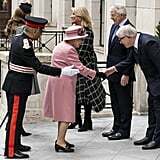 After arriving in front of a big crowd, they mingled with builders and architects on the rooftop of the building, and the queen also reunited with her former private secretary, Lord Geidt, who is now chairman of the university. 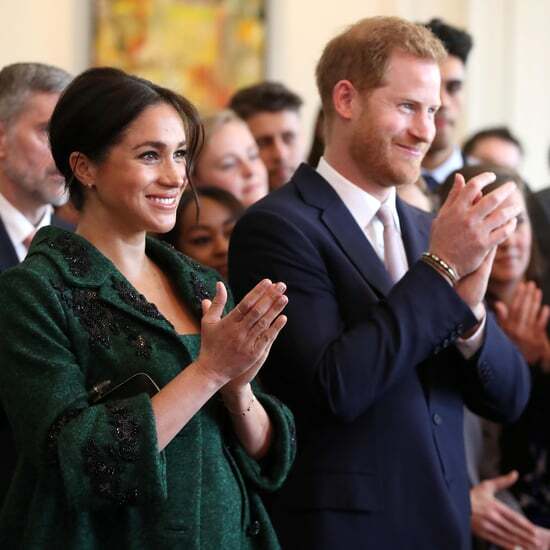 Ahead, get a look at all of the photos from the event.